Celebrate spring with this garden-themed Easter basket idea from Design Mom, who painted an old wine crate and filled it with seeds, small plants, mini tools, and a few simple toys. 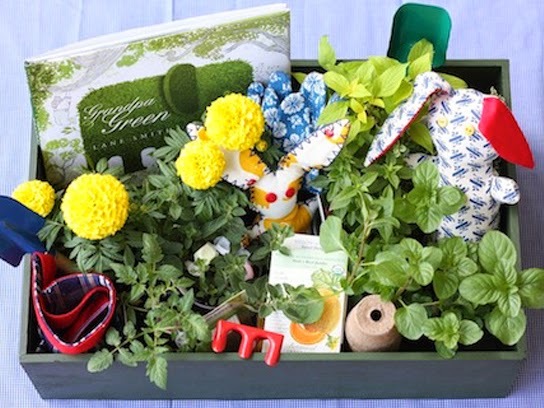 Take the kids outdoors with their new baskets, and get planting. 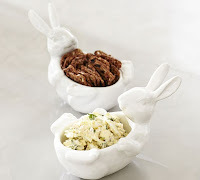 If your kid would rather get crafty than eat candy, try your own version of this Easter basket idea from Modern Parents Messy Kids. 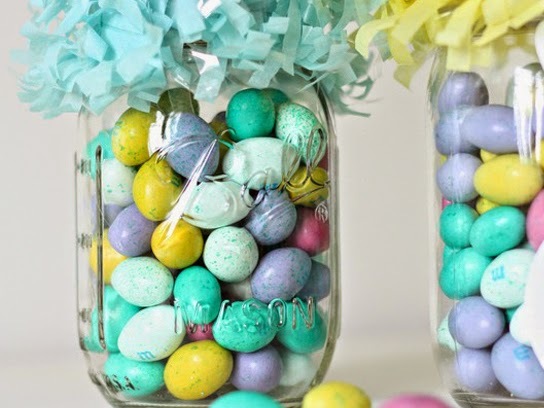 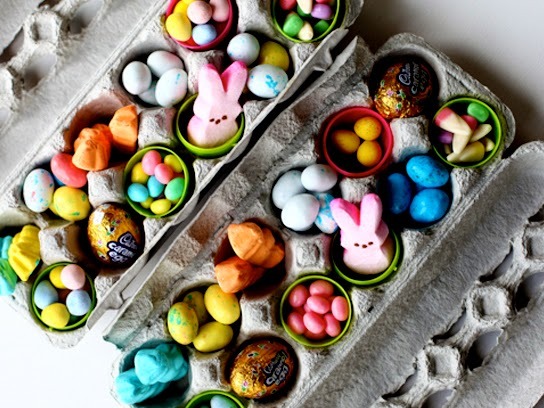 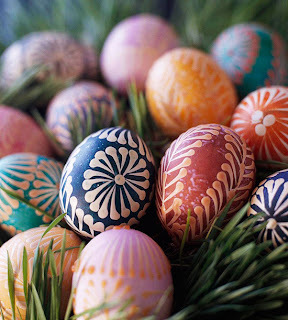 Fill plastic eggs with various colored beads and string, and place inside eggs to inspire creativity. 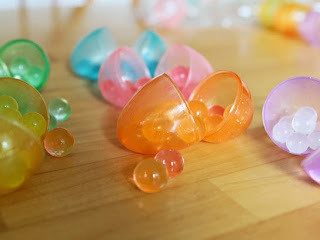 The amazing brains over at 100 Layer Cake-let wanted to feel good about Easter sweets stashed in their kids’ baskets. 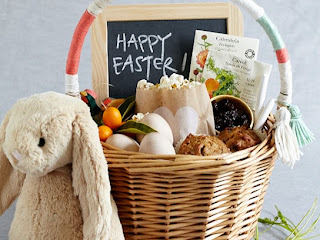 The result: wholesome treats like popcorn, dried and fresh fruits, and wholegrain muffins made for a special breakfast spread that the kids could devour as soon as they woke up. Grow your own basket greenery (instead of buying the bagged stuff) with this idea from Zakka Life. 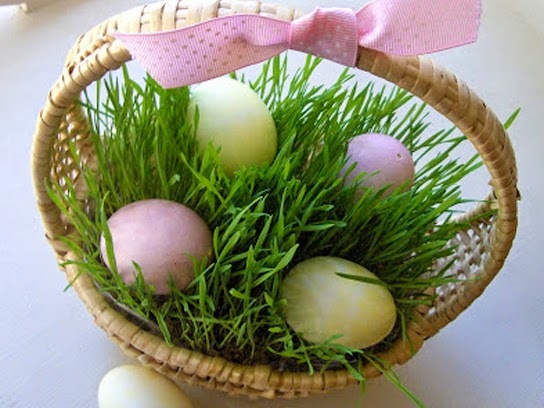 Line a basket with plastic wrap, add soil and grass seeds, and place in the sun. 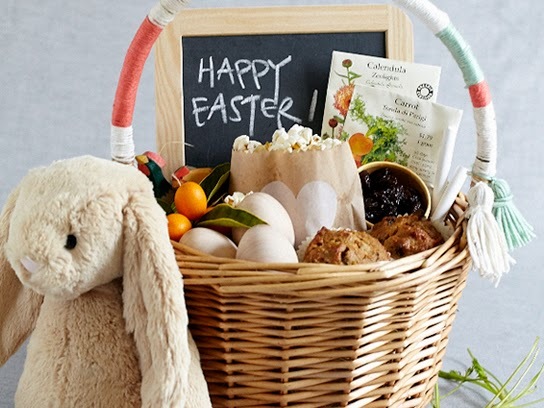 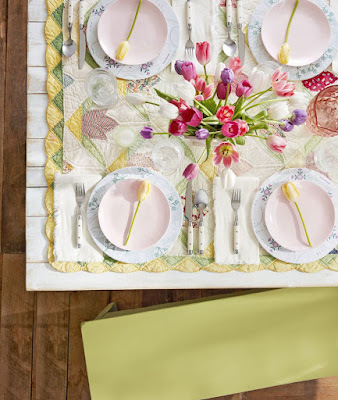 Wait a week, and you’ll have an all-natural Easter basket that can double as a dinner table centerpiece.